I may not have been born on the bayou, but Cajun and Creole cuisine are near and dear to my heart. I guess, in part, because the way the food is highly seasoned with onions, bell pepper, celery and garlic. Those are the same ingredients my mom cooked many meals with when we were growing up. Not only that, cajun cuisine has lots of gravies, and I’m a gravy girl. I love the many layers of flavors in this kind of homestyle cooking, it’s truly satisfying. Getting down to Crawfish: growing up, we called the little mud bugs “Crawdads”, and I still find myself prone to calling them that even though I get strange looks from some folks. Crawdads get a bad rap and are sometimes looked down on for being poor man’s food, but I happen to really like them. They’re a mini lobster when it comes to the flavor and texture of meat. Crawdads are so similar to Lobster that a famous New York deli, Zabar’s, was using the mini delicacy as a substitute for lobster meat in their “Lobster Salad”, that is, until a local journalist broke the scandal. Oh, the scandal, y’all! 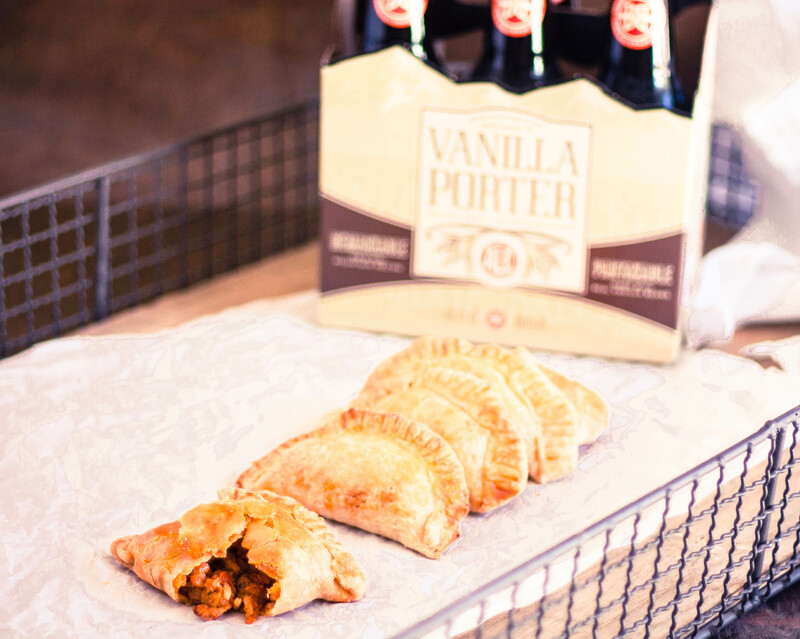 Crawfish hand pies are the essence of cajun cooking wrapped up in a convenient little package. The pie crust adds a special buttery crunch to an otherwise outstanding Crawfish Étouffée. You can find my original Crawfish Étouffée recipe here. Saute the celery, bell pepper, and onion on medium heat until the vegetables become tender. Add the spices and garlic. Saute to combine, and then blend in the flour to form a roux around the vegetables, over medium-high heat. Cook thoroughly until the roux starts to brown slightly, about 2 minutes. Add the broth a little at a time, stirring to bring all the ingredients together to form a thickened stew mixture. Stir in the crawfish tail meat, and then the cream. Simmer on low heat for about 15 minutes. In a medium bowl, combine flour, sugar and salt, whisk to combine. Cut in butter and shortening with a pastry blender or fork until the flour looks like coarse meal. Gradually add ice water 1 tablespoon at a time until the dough gathers into a well formed ball (you may use more or less ice water). With floured hands, mix and squeeze the dough until it forms a ball. Knead it several times to combine (the less kneading the better - the dough can become tough with too much kneading). Use immediately, or cover and chill until ready to use. Can be refrigerated for up to 5 days. In a small bowl, whisk together eggs and water until well blended. Set aside for brushing pies before baking. Divide dough into 18 pieces. Using a rolling pin on a floured surface, roll out each piece of dough into a circle. 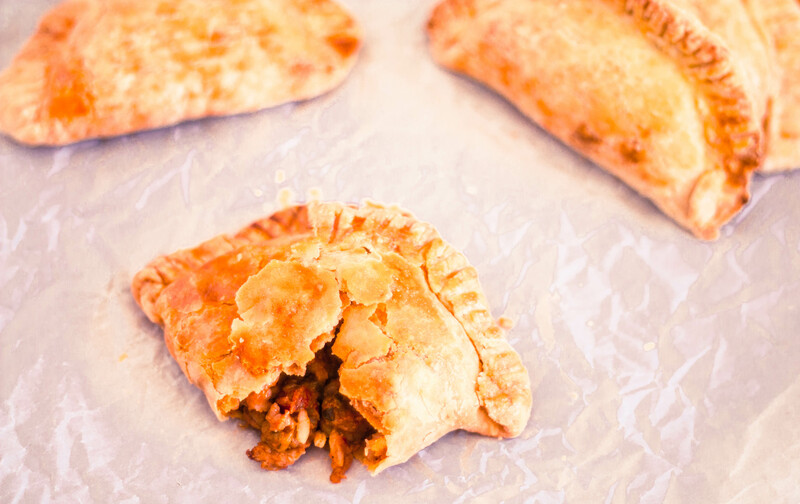 Scoop a generous amount of cooled filling onto 1 side of the dough, leaving at least ½-inch border. Using your finger dipped in water, quickly paint a little water around the border and fold other side of dough over. Press and roll edges to seal. Crimp edges with a fork. Repeat the process until all dough is used. Place pies onto a clean baking sheet. At this point, pies can be covered in plastic wrap and frozen for future use. When ready to bake, brush each pie with egg wash and bake for 15 to 20 minutes or, or until pies are golden brown. *Note: If you find that your filling is too thick, or dry, you can stir in evaporated milk until you reach the desired consistency. I like mine to be like a thick stew or pot pie inside. 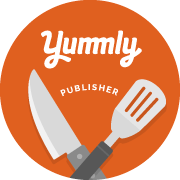 Welcome to Yum Goggle! We are following you on all your social media platforms and hope you will follow us back. We will do our best to tag you each time we promote your posts. Kelli at YG! PS – Crawfish is one of my faves!! This looks unique and delicious! I’m Cajun at heart…I think I must’ve been Cajun in my former life…besides Mexican food, it’s my favorite! 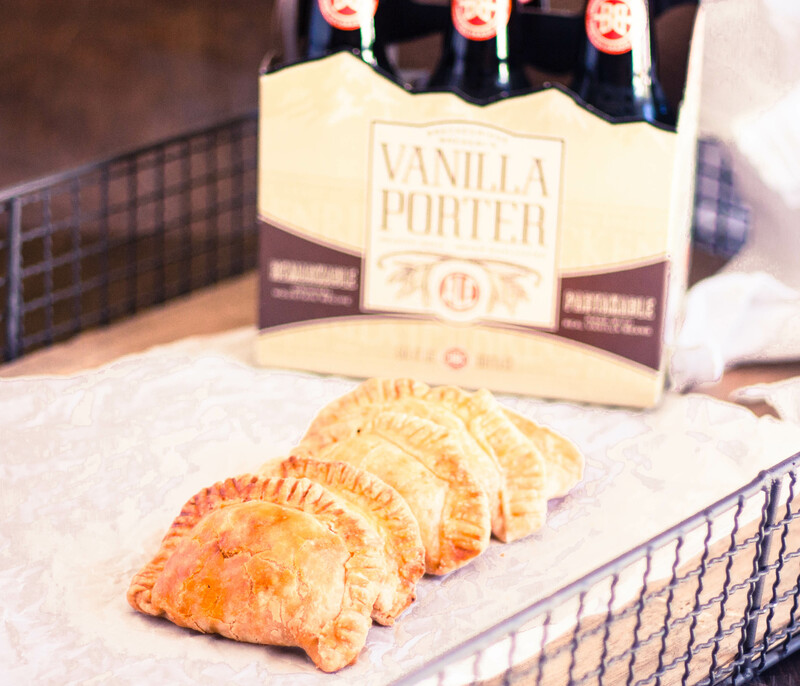 These hand pies are very similar to empanadas.